I spent the holidays at home in North Carolina and got the lovely Kisha Greene (pictured above) a licensed cosmetologist to color my hair. She’s very knowledgeable and an advocate for healthy hair, if you live in the Greensboro area you can set up an appointment with her by using this weblink. 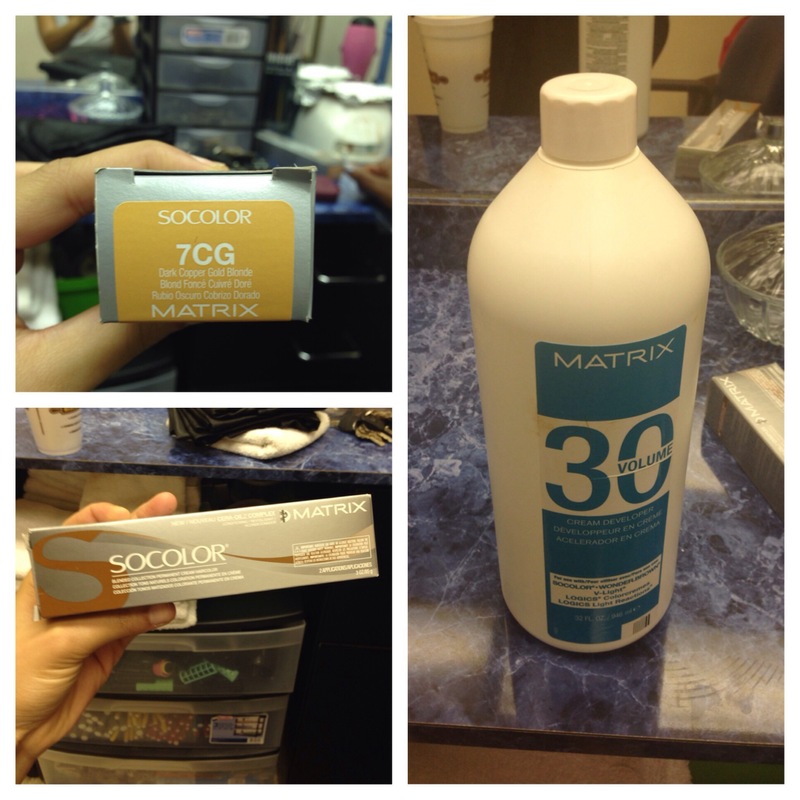 We used Matrix 7CG Socolor to lift the crown area of my hair. It was especially important to me that a professional like Kishma who specializes in color and healthy hair dye my hair for me. 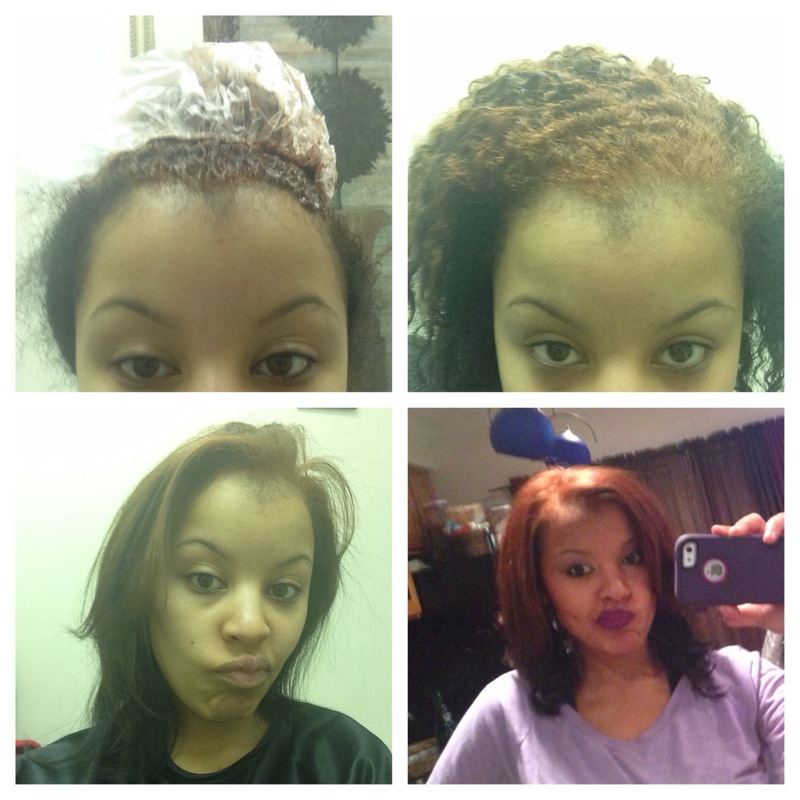 (So that it didn’t turn out like my bleaching disaster YIKES detailed here in ‘Vee’s Hair Story’ post! … Yeah I’m still shook up about that 3+ years later lol) Well no worries because It turned out GREAT! 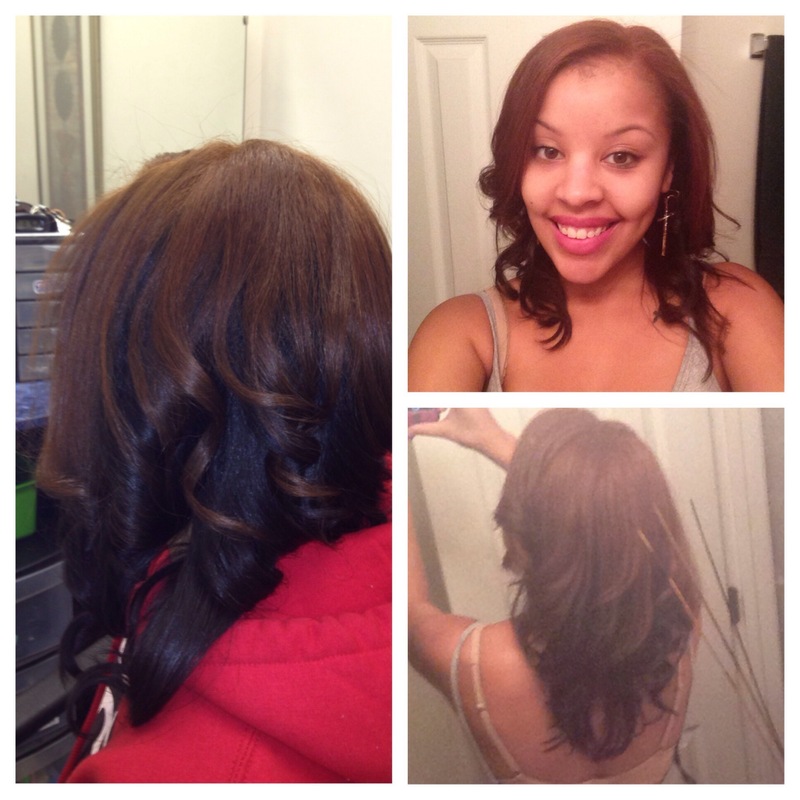 Kishma did a great job and the color isn’t too harsh. It’s just enough without over doing it. My hair feels soft and looks shiny! Well what do you think? 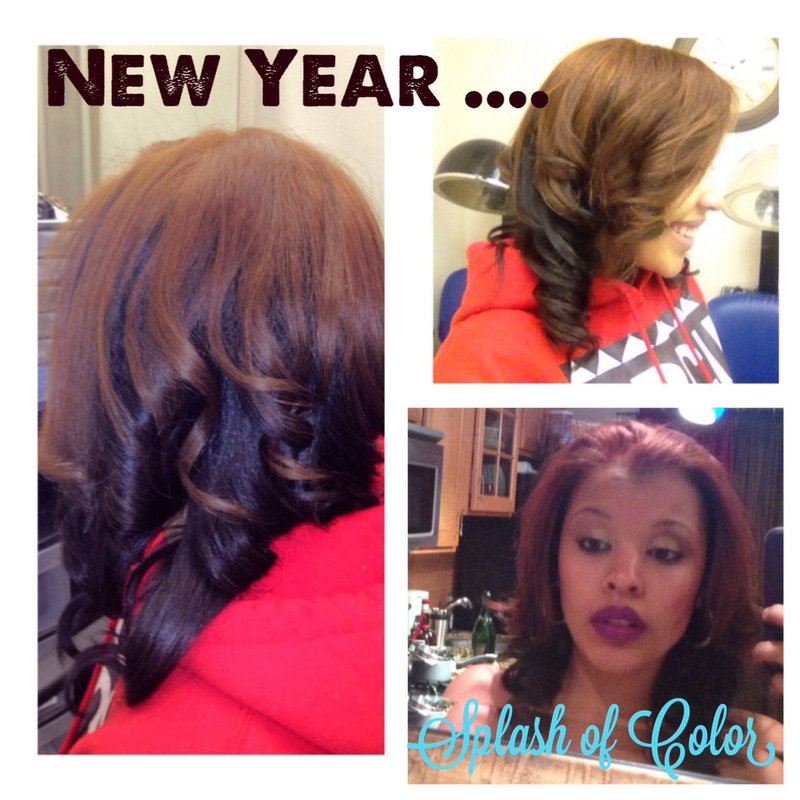 Have you tried anything new with your hair this new year? This entry was posted in Fab Hair, Home and tagged copper blonde, hair color, hair dye, Matrix Socolor, natural hair, permanent color by greenevdc. Bookmark the permalink.